In the wake of development and natural disasters, the country has witnessed many relocation projects which are most often involuntary. 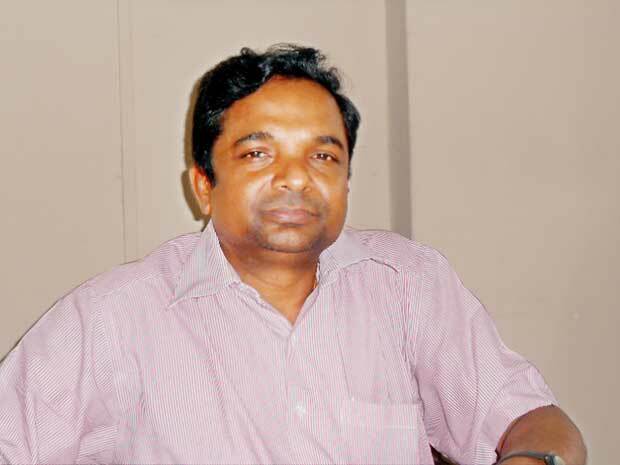 Speaking to the Daily Mirror, Senior Lecturer in Sociology, University of Colombo and researcher, Dr. Nishara Fernando elaborates on adopting a long term people-centred relocation policy, in which beneficiaries should be made partners. “Relocation is a long term process but sadly in our system government officials and policy makers do not treat this as a process but merely an ad hoc venture,” points out Dr. Nishara Fernando. The Senior Lecturer who has published several notable research papers including a PhD dissertation on the subject, illustrates that relocation also calls for close monitoring of the relocated communities. Ideally it requires nearly five years of monitoring he says. “But it does not happen here. Take for example the tsunami displaced. Today we find certain housing schemes with less than 50% of the originally relocated families. Some have either returned to their original places of living despite vulnerabilities or rented or sold those plots although illegal,” points out Fernando whose research papers such as ‘Returning to the coast 10 years after the tsunami: Involuntary relocation, case study of Galle Sri Lanka’ further discloses. "Dr. Fernando notes, ‘the Sri Lankan past experience suggests that relocation projects have not been guided by common guidelines other than project specific guidelines which resulted in some successes and failures. These outcomes, no doubt, stress the need for having proper guidelines." 1.To devise a mechanism that would enable the communities to successfully cope with various risks and stresses generated as a result of the shock of involuntary relocation and the relocation process. 2.To make the prospective ‘relocatees’ aware of the relocation process (or stages of relocation) with a time frame agreed upon to complete the successful relocation process by affected persons and implementing agencies. 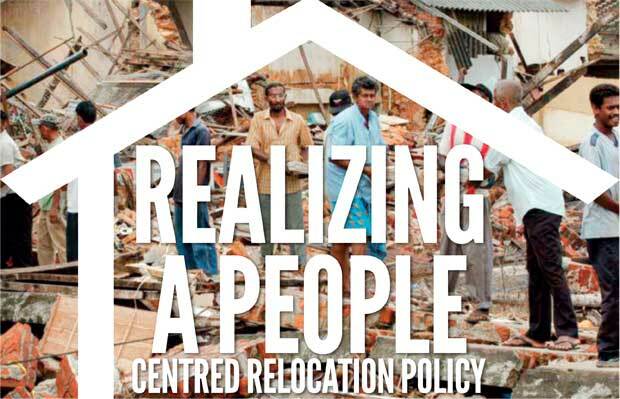 3.To make the relocation process participatory, transparent and accountable. 4.To assist particularly the most vulnerable groups (female headed households, hidden female headed households, households with disabled, chronically ill members, poor households) to be successfully adapted to the new location, restore their livelihoods in order to improve their living standards. The programme should ensure that the displaced people improve or at least restore their previous standard of living. 5.To ensure the people affected due to involuntary relocation programmes to be promptly compensated. Also make awareness among the people about the process for redressing their grievances to facilitate easy access and quick response to resolve issues. In 2000, a plan was drafted to develop the area through the ‘Lunawa Environmental Improvement and Community Development Project’ (LEI & CDP) with financial support of the Japan Bank for International Cooperation (JBIC) as an extension to the Colombo Flood Control and Environmental Improvement Project (GCFC & EIP) assisted by the Government of Japan. Under the LEI and CDP, unplanned settlements around the Lunawa lagoon were to be converted into a more eco-friendly and planned settlement. The project had the overall objective of improving the living conditions of people in Lunawa catchment in North and South by mitigating the flood damage through an integrated programme of improvement of urban drainage and canal systems. The project included compulsory involuntary resettlement of populations and it is the first project that translated Sri Lanka’s National Involuntary Resettlement Policy into practice. The affected households were given three options under the project: to settle in four relocation sites prepared by the project with all basic infrastructure such as access to roads, water supply, electricity and sewerage facilities, to settle in lands purchased by project affected persons (self-relocation) or to settle in the original site after regularizing the plots (on-site resettlement) (UN-HABITAT, 2009). “Two perch land plots were given to each relocated household from a selected settlement in addition to the Rs. 400,000 (in four installments) to construct their houses. The beneficiaries had the opportunity of constructing their own houses according to their needs and wishes. This project can be taken a home-grown relocation model as beneficiaries were made partners of the whole process,” asserts Fernando who also notes that in the case of the recent example of the Southern expressway, although it was involuntary, displaced families were well compensated, properly monitored and less issues were reported compared to other relocation projects. "Making relocatees partners of the process is imperative says the researcher who reiterates the importance of educating them on the process and moving forward with them."